Are There Any Kinds Of Debts That I Can’t Get Discharged In A Bankruptcy? Yes, there are a few debts that cannot be discharged in either a St. Louis Chapter 7 bankruptcy or a St. Louis Chapter 13 bankruptcy. These specific debts are described as non-dischargeable, and will therefore remain as debts that you will be obligated on. But understanding which exact debts these are, and what implications it has for your particular filing can be crucial. When you file a Missouri or Illinois bankruptcy, you are under an obligation to list out all of your creditors (whether they are secured, unsecured, or priority in nature). Once each debt is properly classified, it is then the individual creditor’s job to file what is called a Proof of Claim. This is a document that is filed with the court, listing the creditor’s pertinent information (such as its name, address, and representative), the amount owed, account number and date of indebtedness, and depending on what kind of debt it is, documentation proving that the debt actually exists (like a Deed of Trust for a house loan). You and the Trustee are given an opportunity to examine the Proofs of Claim that are entered, and file an objection if it is believed that the POC was submitted in error. If the debt is in the nature of a Domestic Support Obligation, then it is non-dischargeable. DSO’s are things like child support (current, or what has fallen into arrears), maintenance, and spousal support (what used to be called alimony). Most tax debt is considered to be an obligation for which you may not receive a discharge. There is an exception, however, for income tax debt that is three years or older and was timely filed. If that is the case, then it is possible to get that portion of income tax debt discharged along with the rest of your unsecured debts (such as credit cards, medical bills, and payday loans). Student loans are another example of that which cannot be gotten rid of in a bankruptcy. These debts (almost always owed to the federal government) are given a status of protection by the bankruptcy court. In addition, debts that were incurred (or assigned) by way of a divorce decree and/or judgment are non-dischargeable in a Chapter 7. However, it is possible to get such debts discharged in a Chapter 13. And finally, those debts which were procured by way of fraud are considered non-dischargeable. So if you were to take out a credit card knowingly using a different social security number other than your own, it is almost certain that this particular debt will be adjudged non-dischargeable. 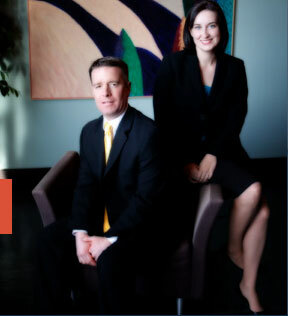 The affordable St. Louis bankruptcy attorneys at Brinkman & Alter, LLC have been making sure that people know their rights, obligations, and options for over ten (10) years. Our goal is provide you with the most pertinent information you need in order to make the best decision for you and your family. The initial consultation is free of charge, so call today to set an appointment to learn more!